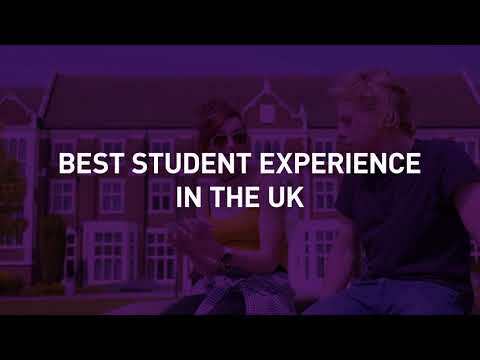 Loughborough University is known for offering a life-changing student experience. In the Times Higher Education (THE) Student Experience Survey 2018, Loughborough came first in the country. Since the inception of the survey in 2006 Loughborough has topped the table eight times, and come top five no less than 11 times. Over the period of the survey Loughborough has enjoyed the best results in the country for student satisfaction. In addition to academic excellence, our renowned student experience brings together our award winning Students’ Union, sports clubs, societies and community spirit, all of which play a big part in why our students are so passionate and proud to be here. The annual THE Student Experience Survey is based on the views of 20,251 students from across the UK on a range of aspects of student life, such as the quality of courses, the support available and student accommodation. We are committed to providing students with every opportunity to go above and beyond and reach their potential – professionally, academically and socially. Students at Loughborough have access to a truly global experience, where they are taught by academics from across the world; they can study abroad or complete an overseas placement, and have numerous opportunities to learn a new language. Our award-winning Students’ Union is a key contributor to the Loughborough student experience. We believe there is no better place in the UK to be. And our achievements support this belief. 1st for satisfaction with social activities in the Times Higher Education Student Experience Survey 2017. 1st in the UK and globally for overall satisfaction with the student living experience, out of 45 participating universities globally. Voted Britain’s top university for quality of student life in the 2015 Lloyds Bank University Quality of Student Life Survey. We were ranked second in the Times Higher Education (THE) Student Experience Survey 2017. We were voted best students’ union at the Whatuni? Student Choice Awards 2016. We were voted best clubs and societies at the Whatuni? Student Choice Awards 2016. We are one of only seven institutions to be awarded an Alcohol Impact mark of accreditation from The National Union of Students (NUS).